Please use our Contact Us form for all technical-related questions. Our online reader provides a consistent design and experience across all browsers and devices, allowing you to focus on your eBook instead of learning the platform or downloading software. What web browsers support the online reading format? The online reading format is best supported by the Chrome web browser. Functionality is not fully supported by Safari. How do I highlight, add notes to highlights, access the dictionary tool, copy and paste, or create a flashcard? Step 5: Copy and paste the link into a new tab or refresh the page to enable offline mode. Step 6: Bookmark the page to be used at a later date offline. Note: the offiline pages are only available for 10 days at a time. 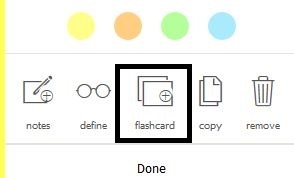 Option 1: To create a flashcard from text within the eBook, click and hold down the left mouse button, then drag the pointer over the word(s) and select the ‘flashcard’ icon in the tool box that appears. How do I print my Online eBook? Please note: If you are printing more than 25 pages it may take up to 15 minutes to become available. Select the ‘Email Me When My Document is Ready’ to be notified when it’s finished. Whom do I contact if I’m having trouble viewing my Online eBook or digital content? Please use our Contact Us form for all technical-related questions. A representative will respond to your question within 24 business hours. How do I request an eBook in the alternate eBook format? 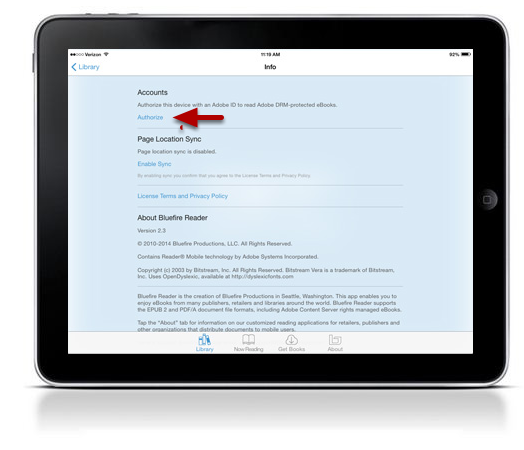 Our online reading format offers instant access to your eBook with note-taking and other annotation features. If you would prefer a downloadable eBook format that requires the installation of an eReader such as Adobe Digital Editions, please contact ebooks@aera.net. Can I download my purchases? Yes. After logging into our online eBook store, click on My Account at the top of the page, then click on My eLibrary. You may also access your My eLibrary here. eBooks in ePub format may be read on several dedicated mobile reading devices (Sony Reader, B&N Nook for example). The Amazon Kindle uses the MobiPocket file format and is not compatible with ePub or ePDF. 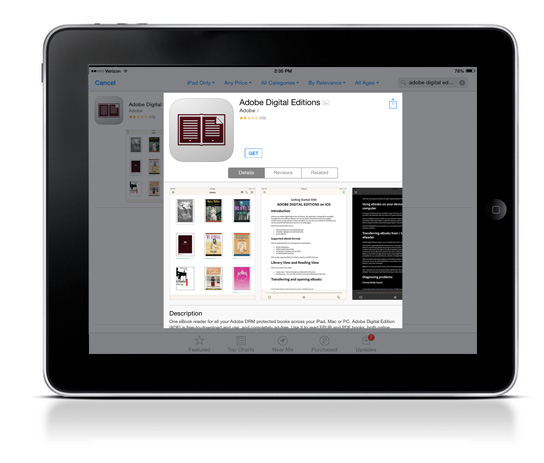 Adobe Digital Editions - Is a free app compatible with iPad® that supports Adobe eBook DRM protected PDF and ePub formats. 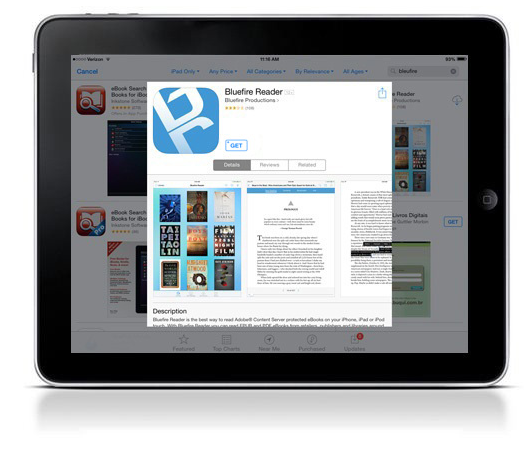 Bluefire Reader - Is a free app compatible with iPhone®, iPad®, and iPod®touch that supports Adobe eBook DRM protected PDF and ePub formats. Aldiko - Is a free app compatible with the Android that supports Adobe eBook DRM protected PDF and ePub formats. 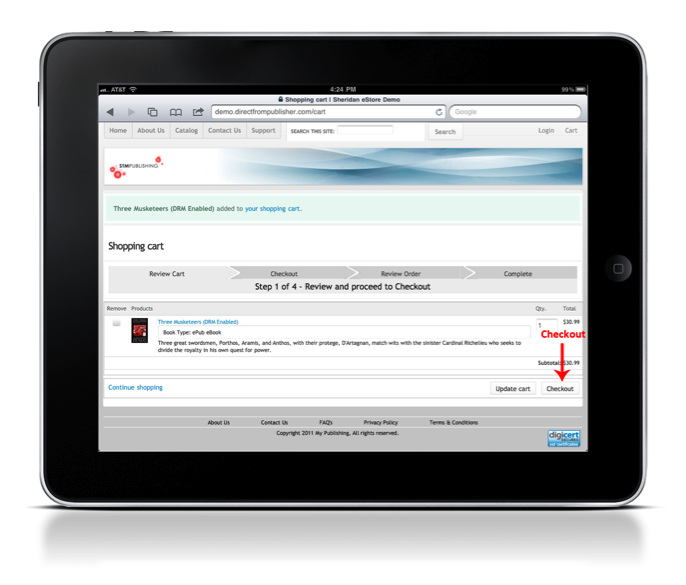 Step 1: Add an eBook to your shopping cart. Step 2: Click Checkout to purchase the eBook. 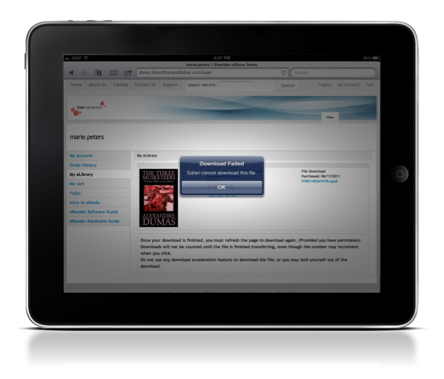 Step 5: After the purchase is complete, the eBook will show up in your Order Downloads. Click the file to download. 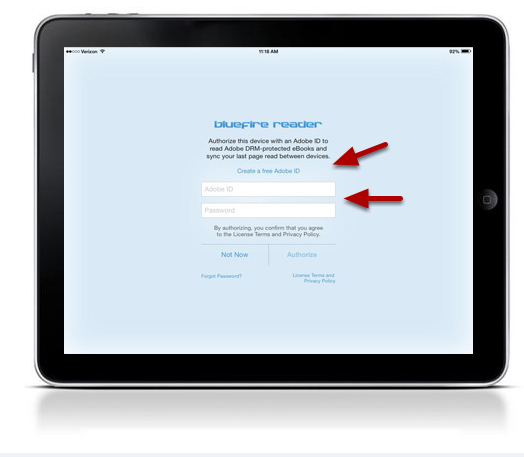 *Special Note: Bluefire Reader or Adobe Digital Editions must be installed and authorized with your Adobe ID on your iPad prior to purchase. If you receive a Download Error (right), please check to confirm that your Reader app is installed properly. You can find instructions in the support menu to download and authorize Bluefire Reader and Adobe Digtal Editions. Downloading eBooks purchased from our Bookstore to your PC is easy, and there are only a couple of simple steps to follow. 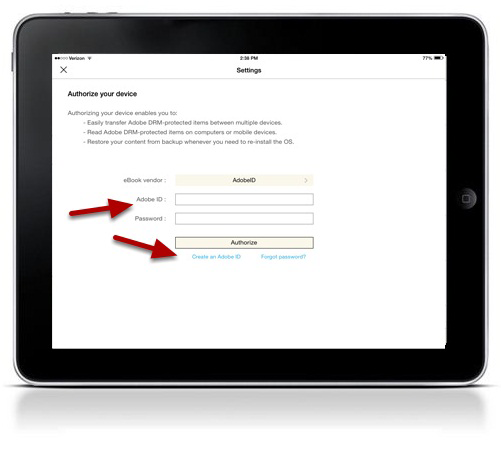 An Adobe ID is required and necessary to ensure that your eBooks are accessible to only you on the devices that you authorize. Reading your eBooks on your PC will be done through the free Adobe Digital Editions software. 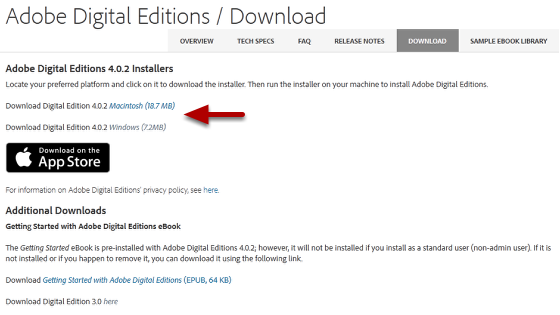 Step 1: Download and install Adobe Digital Editions from the Adobe website. 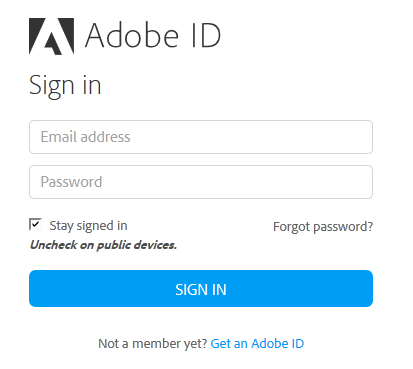 Step 2: If you do not already have one, visit the Adobe website to obtain a free Adobe ID. 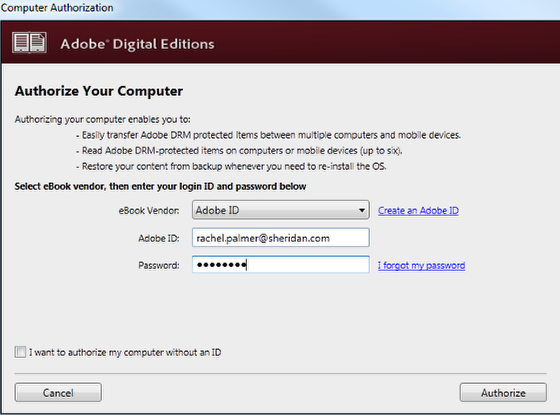 Step 3: After you have installed Adobe Digital Edtions, authorize Adobe Digital Editions from the Help Menu. 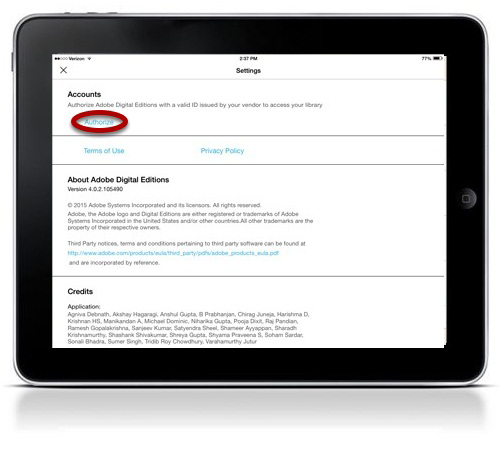 Step 4: Select Adobe ID as the eBook Vendor and enter your Adobe ID and Password. Click Authorize. For complete instructions on how to purchase and download your eBook, click here. 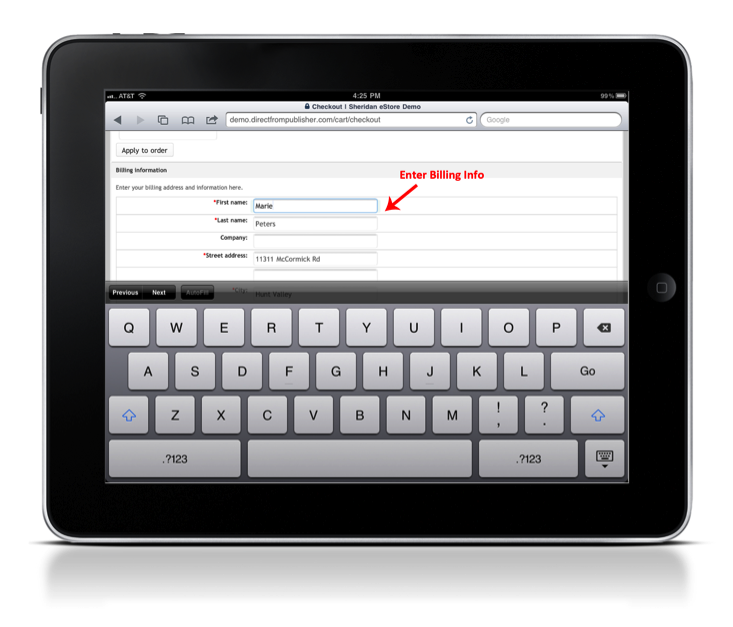 The term eBook refers to an electronic version of a printed book. eBooks can be read on a variety of devices in addition to eReader software on devices such as mobile phones and personal computers. eBooks exist in multiple file formats. Online eBook: Our single-user Online eBook option allows you to access your content anywhere, anytime, and on all of your favorite devices, with no software to download! Our browser-based eReader means that you can access your eBook on any Internet-enabled devices including tablets, smartphones, desktop computers and laptops. 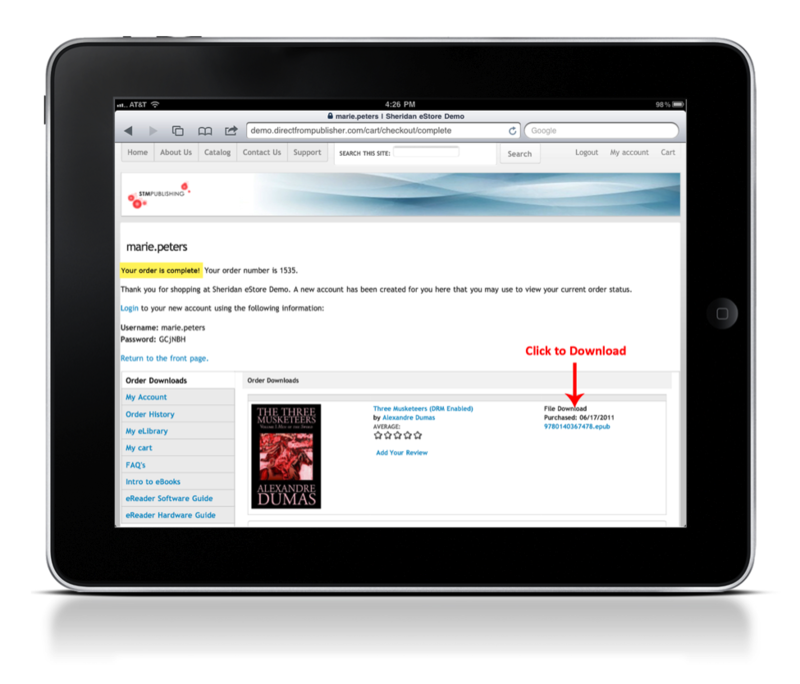 The online eBook format is the default format. If you are interested in an alternate eBook format, please contact ebooks@aera.net for additional information. 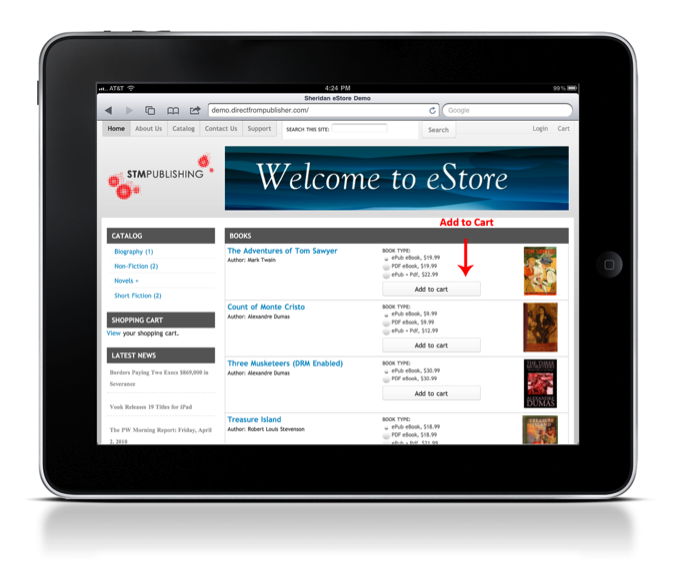 eBooks in ePUB and PDF formats may be read on several eReader devices (Sony Reader or B&N Nook, for example). 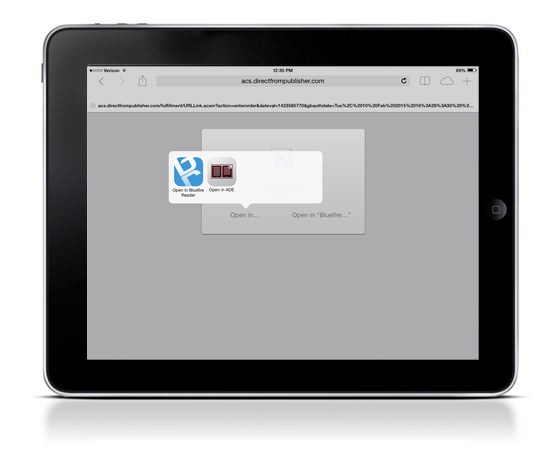 All AppleTM devices with the Stanza app installed will automatically download eStore files. The Amazon Kindle uses the MobiPocket file format, which is not compatible with ePub or ePDF. 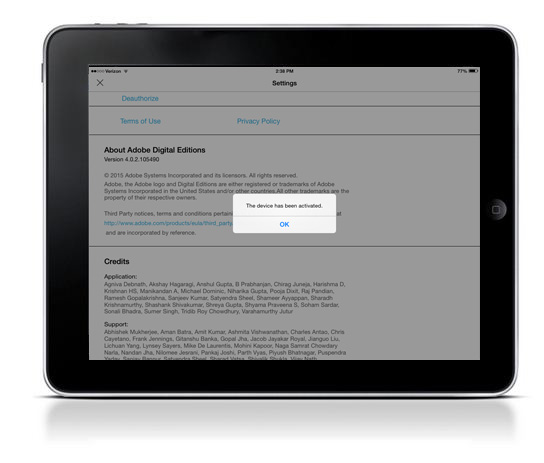 AERA eBooks are not offered in this format because the MobiPocket file format is not supported by Adobe Digital Rights Management, which prevents users from sharing files electronically. eReader devices are hardware devices that function primarily to display eBooks. Please see the eReader Hardware Guide in the FAQ section for additional information. eReader software is a program that allows the consumer to read eBooks on different types of hardware devices, such as personal computers or mobile phones. 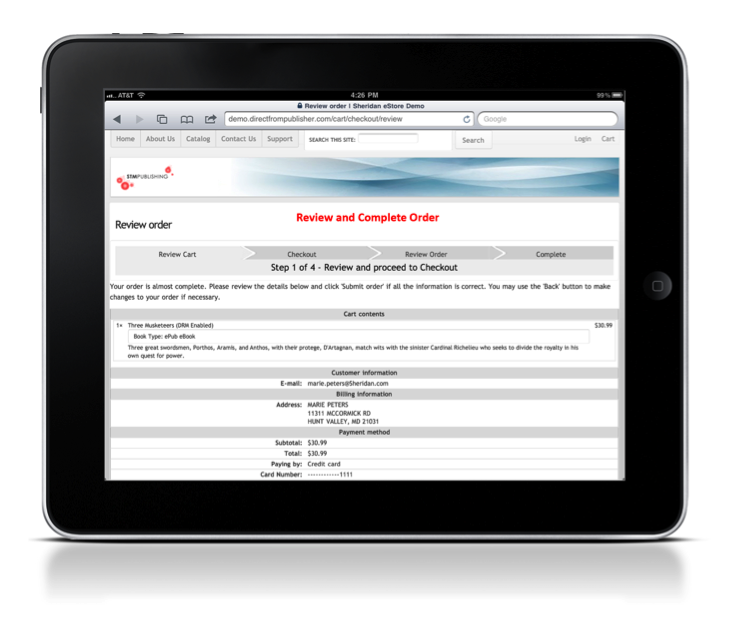 For more information see our eReader Software Guide in the FAQ section. PDF eBook: PDF eBooks are essentially electronic versions of the printed volume and thus include page numbering. PDF eBooks have a static layout with set page breaks. Although PDF eBooks do not automatically adjust to fit your screen, you can zoom in on a page or graphic. This format is best viewed on your computer or device with a larger screen. PDF eBooks are readable on your computer and iPad using Adobe Digital Editions (download for free) and on Android devices using Aldiko (download for free). Please see our eReader Software Guide in the FAQ section for more information. 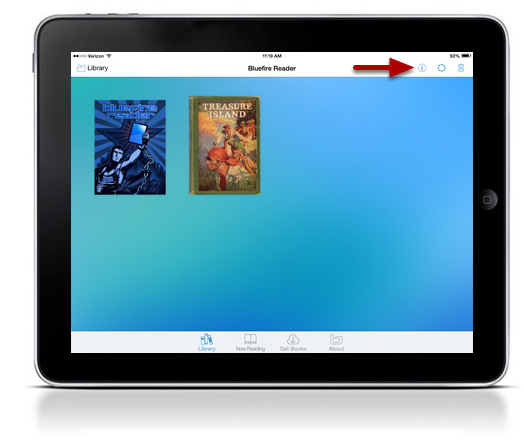 ePub eBook: In contrast to PDF eBooks, ePub eBooks will automatically adjust to fit your screen. 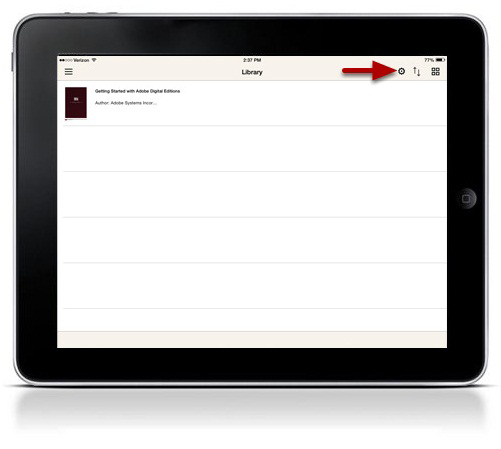 ePub eBooks do not include page numbers, and the text reflows as the reader increases or decreases the font size. This format is best viewed on your computer or a device with a smaller screen. Like the PDF eBook, ePubs are readable on your computer and iPad using Adobe Digital Editions (download for free) and on Android devices using Aldiko (download for free). Please see our eReader Software Guide in the FAQ section for more information.